Rest easy, fans of Apple andconnected home products: the brand is saying reports that its HomeKit platform is to be delayed until September are but a tissue of lies, put about by jealous makers of less splendid home connectivity frameworks. Phew. The home automation platform that was announced to considerable fanfare nearly a year ago at the firm's Worldwide Developers Conference, looks set to have some products available for it next month. 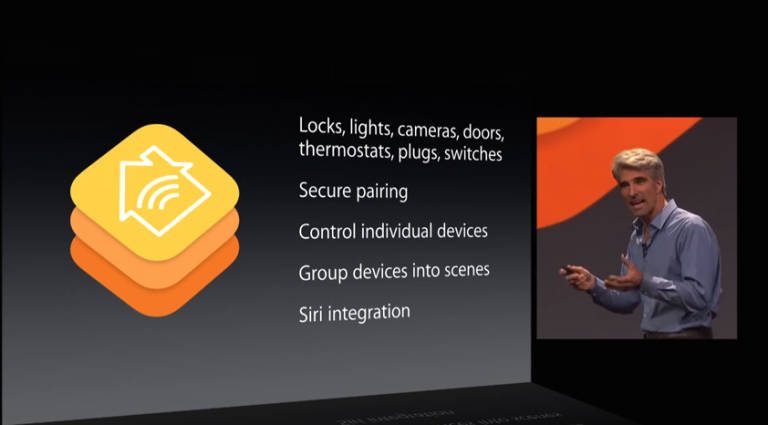 HomeKit enables iPhone, iPad and Apple Watch owners to control a range of domestic appliances, such as lights, plugs and thermostats, with the brands making the kit being made to follow fairly stringent guidelines from Apple on how everything must work - the walled garden around the connected home, if you will. But "sources" speaking to Fortune magazine said that sourcesApple was postponing the launch - planned for May to June - while it worked out a bug in the platform. As you have probably noticed, we are in May, and it's running out fast. The same sources in fact suggested that the code used in the platform “blew up”. Not literally: this means too much memory was being used to make it compatible with low-powered devices. Problems with signing in and getting devices online were also mentioned, with a source claiming it was “much harder to do than Apple anticipated." Apple was said to be working on shrinking the code base to make it play nicely with devices in the home. However, according to a statement from Apple to Venture Beat, HomeKit has been up and running for several months, Apple has “dozens of partners who have committed to bringing HomeKit accessories to market” and is “looking forward to the first ones coming next month”. Which isn't quite an outright denial of problems, is it? We'll see… Hopefully sooner rather than later.